A ruling from the Colorado Civil Rights Division will allow Coy Mathis, a transgendered girl, to continue using the girls' toilets in her school. Once the 6-year-old Coy reached winter break this past December, her school said she could no longer use the girls' bathroom, so her parents decided to take action. When the Fountain-Fort Carson School District 8 informed Coy's parents that their daughter would no longer use the girls' bathroom after winter break, the Mathis' felt their daughter's rights had been violated. With help from the Transgender Legal and Defense Education Fund, they made a complaint to the school board. Coy's parents removed her from school and filed the complaint that February. Though Coy was still able to use staff and gender-neutral bathrooms, her parents felt that she was still being discriminated against. This sentiment brought the favorable ruling from the Civil Rights Division. 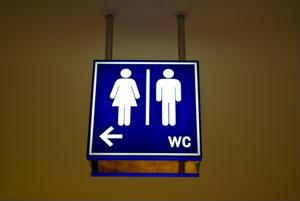 Steven Chavez, the division director, made comments in the ruling regarding this, saying that not allowing Coy to use the girls bathroom created "an environment rife with harassment," according to NBC news. He also wrote that the district showed "a lack of understanding of the complexity of transgender issues," during the trial by referring to Coy as a male throughout the Proceedings. When just 18 months old, Coy decided that she felt more like a girl than a boy. By the time she was four, she felt that something was wrong with her. Once enrolled in school, Coy decided that she wanted to be labeled as a girl and treated as such. Her classmates and teachers were instructed by her parents to treat Coy as a female. The Mathis' decided to take their daughter to a specialist when she began showing concern over her gender, and the specialist revealed that Coy had gender identity disorder. The only solution prescribed was to let Coy live as a girl, NBC news noted. Some of the school's representatives still felt that their initial decision to bar Coy from the girls' bathroom was correct. Though the situation would likely not be an issue until other students noticed that Coy was still biologically male, the school felt that it would become difficult to mask as Coy became older. The presence of a transgendered student using the girls' bathroom was also forecast to make other students and parents uncomfortable, though the Mathis' still view the ruling as a victory.